Driven by sustainability and attention to detail, Mr. Flores spearheads training and management of personnel on most projects. Driven by sustainability and attention to detail, Mr. Flores spearheads training and management of personnel on most projects. His extensive operations management and technical skills maintain current clients and assist in the development of new opportunities and relationships. Jose served as Program Executive on three large accounts. He was Deputy Deployment Manager on a $34M project for the Chicago Public Schools, where he staffed, coordinated and managed the deployment of an Enterprise Level Anti-Virus/System Management Solution. 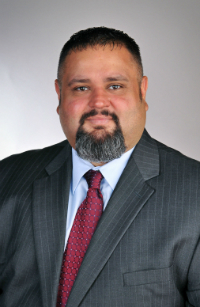 With more than 15 years of experience in Consulting and IT, Jose has worked on a multitude of large projects, including Dallas Independent and Chicago Public School Districts. His services include operational management, system integration and implementation services.